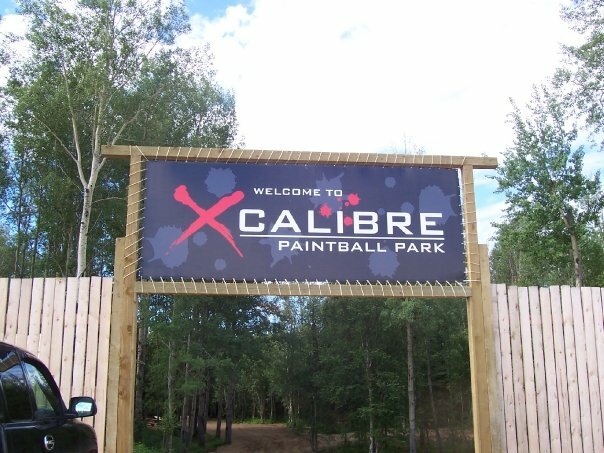 If you are new to paintball or an experienced player, there is no other place to have extreme fun like at Xcalibre Paintball. We offer a large variety of courses, rentals and gear for sale. Our field is constantly growing with renovations and new construction each season. Our rental packages suit people of all ages and experience levels. We have very competitive pricing and stock a variety of different brands of equipment and gear for sale from manufacturers worldwide. 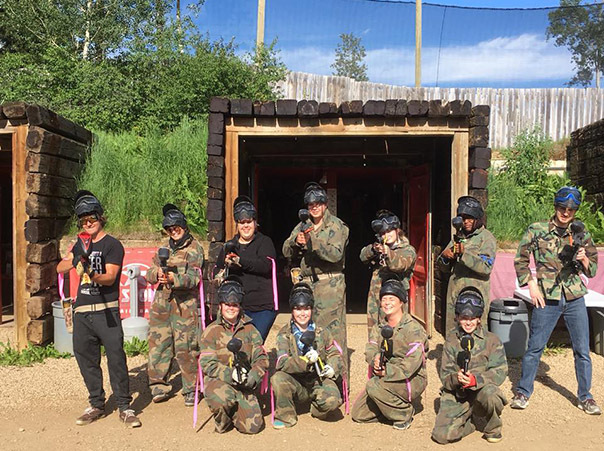 Our experienced staff will provide you with top quality service and help make your visit at our park the most fun and exciting paintball experience ever! Paintball is the world’s fastest growing extreme sport. A variety of different games can be played on different themed courses. 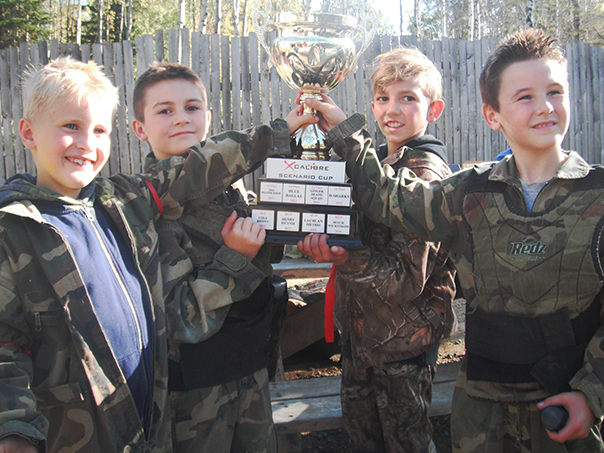 Paintball can be played for recreation or competitive sport and is a great form of exercise. Players can burn up to 420 calories per hour while improving cardio, endurance and strength. Paintballs are non-toxic gelatin capsules filled with washable color fluid. They are “shot” through a marker using high pressure air or Co2. The paintball splits when it contacts a player leaving a “paint” mark to identify a “hit”. 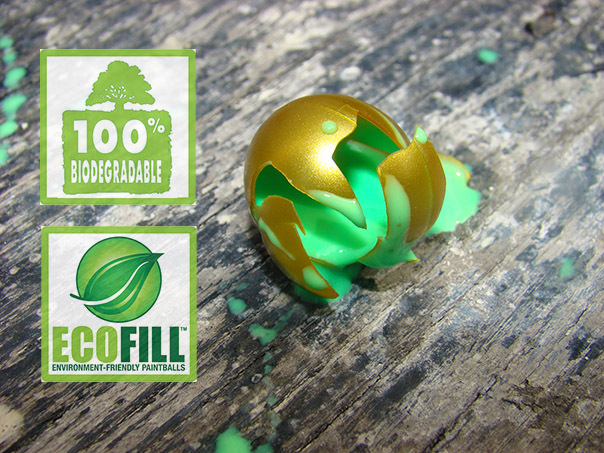 We take pride in using eco-friendly paintball products to help keep our parks green. CSA approved safety equipment, including Masks and Coveralls are provided to protect players when playing. Paintball is played by people of all ages, gender, size and strength. Visit us for fun with friends and family! Great for team building with youth groups or co-workers! Ask us about our group reservation Discounts for your special occasion! Experience is not necessary with our qualified referees on site to help teach all players about games, skills and equipment safety. 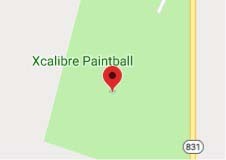 Whether you prefer woodsball vs speedball fields or are experience or new to the sport, we have everything to make your next paintball adventure the best one yet! 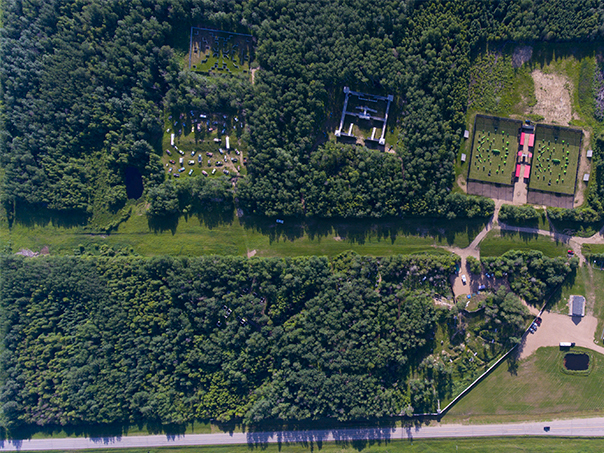 Established in 2006, we have created a 60-acre outdoor paintball park with 10 different themed playing fields. 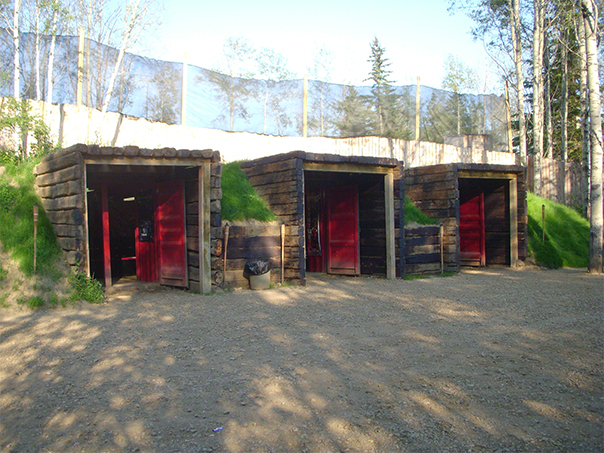 Unique features on each field including Sniper Towers, Trenches, a Town with over 40 buildings, 2 Regulation sized Speedball fields, the World’s Largest Paintball Fort and much much more! HPA fill and Chronograph stations plus Washrooms are available throughout the park. “Safe Zones”, for public viewing, with cleaning stations are at every course! You will find our unique one of a kind Bunker located in the Picnic Area at park entrance. The Bunker is an underground Pro Shop over 2000 sq ft in size with the newest gear for sale and Rentals! We are an authorized dealer for all paintball manufacturers and our Store offers competitive pricing on paintball products and brands from around the world. We also offer Tech Services to get your own gear repaired. 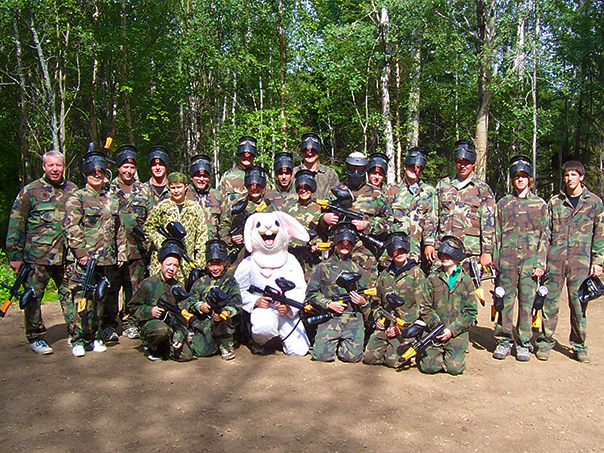 Our friendly knowledgeable staff is always available to help you with all your paintball needs. Bring your own gear or we have over 240 rental packages available on site! Walk in to join games with other players or Reservations are available for private groups. Choose from 1 of 5 Rental Packages ranging from a basic marker to a high-end tournament marker including everything you need to start playing! Unlimited HPA and Unlimited Field Time for everyone! Play paintball at our park and want to save? Ask about our Memberships! What happens when you come to play? Upon arrival, your group will enter the park entrance and walk down to the Picnic Area where you will find the underground Bunker. Upon entering the Bunker, you will find price boards to explain rental package options and you will be greeted by our friendly knowledgeable staff who can answer any questions for registration, rentals, sales and tech services. Each player will select rental of choice and receive a Rental Ticket attached to their waiver to hand into the rental window where the gear is distributed. Each person who plays must register by signing our Waiver Form or have one pre-signed. Players under 18 must have a parent signature on this form to have permission at registration. Once everyone is geared up ready to play, the group is assigned a Referee. 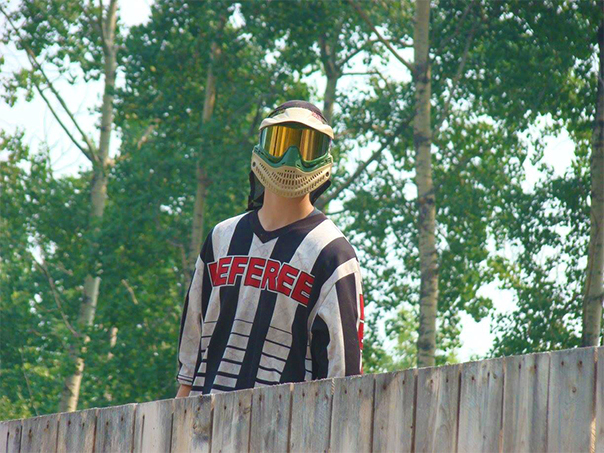 Our Referees are skilled paintball players with experience in the sport. They help teach new players, provide game ideas, assist with paintball equipment while enforcing rules to ensure the most safety and fun! Your Referee will go through the park rules, answer any questions and then take you to the Target Zone where players can practice before the games start. All own gear players will have their equipment tested with chronograph for speed in this area before playing. Then the adventure begins! 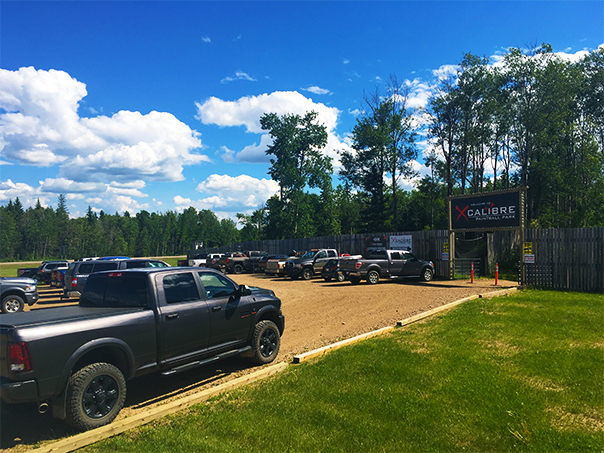 We are located directly across from Long Lake Provincial Park on Highway #831, Alberta just 14km south of Boyle. Minutes from Campgrounds, Fishing, Hiking, Boat/Ski Rentals, Golf Course & Ski Hill. 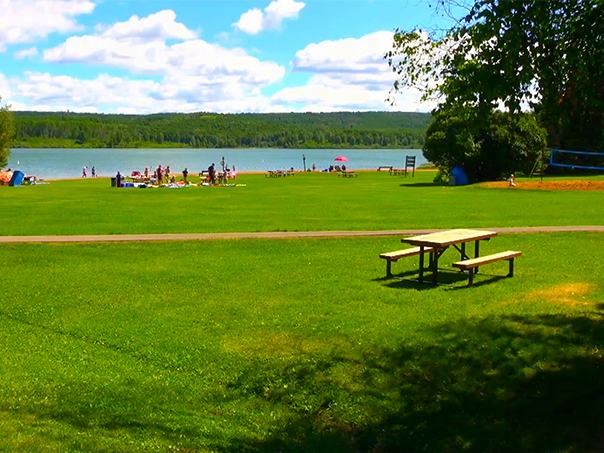 Spend the weekend at Long Lake and visit us! Find us on Google Maps for guided directions to our park! 1 hour north of Edmonton located on Secondary Highway #831 on the way to Fort McMurray. Very easy to find!